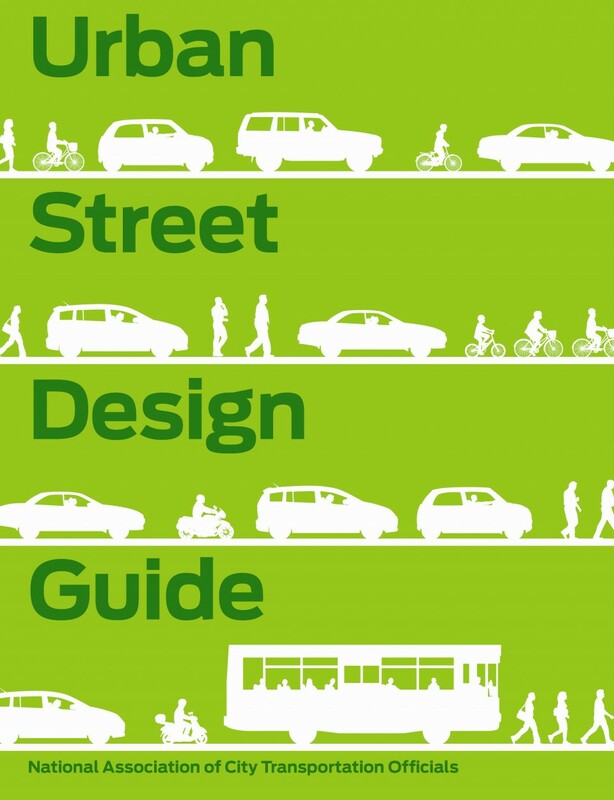 Interim design changes for streets can be carried out using low-cost materials. These interim design strategies realize the benefits of a full reconstruction in the short term, and can help build support for projects or test their consequences. While not all projects should or need to go through these three phases, many projects can benefit from this approach. 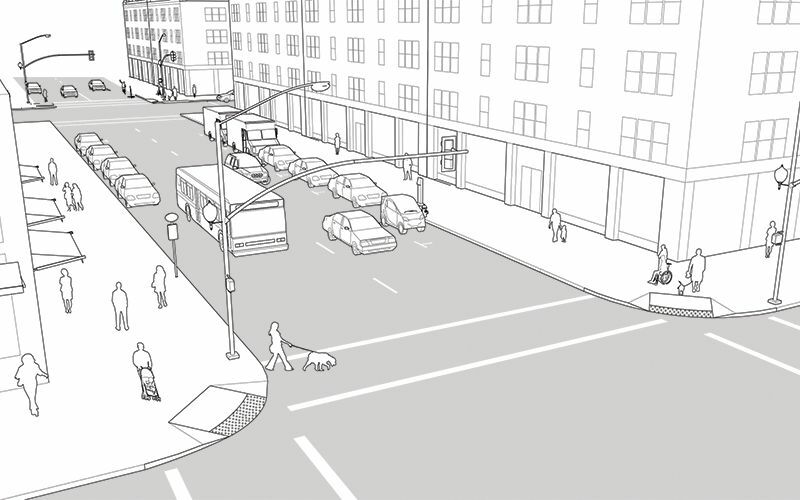 The streets shown in this guide are depicted in three stages of transformation: Existing, Interim, and Reconstruction.